A golf residence is something truly special. Bright and spacious, it gives you ample opportunity to furnish and decorate according to your individual style. With the beautiful golf course before you, you’ll look forward to coming home each day to take in the tranquil views. Alternatively, homes at Golf Terrace and Golf Veduta are fully furnished, so all you have to do it turn up! Each apartment boasts calming interiors and equipped kitchens in a lovely home-from-home experience that makes life easy. Beautiful themed areas will appeal to every age and interest, whether it’s a relaxing green enclave for a family, a place to benefit from some exercise on al fresco gym equipment, a buzzing skate park, beach-inspired landscape, and more. Trees and hedges, pathways and trails, streams and restful lakes all feature throughout. The wellbeing amenities give you the opportunity to recharge and unwind. Choose to cool off by the outdoor swimming pool or sweat it out in the gymnasium. Golf Terrace and Golf Veduta both offer steam and sauna rooms too. This 42-million-square-foot community is where residents feel inspired, balanced, entertained and pampered. 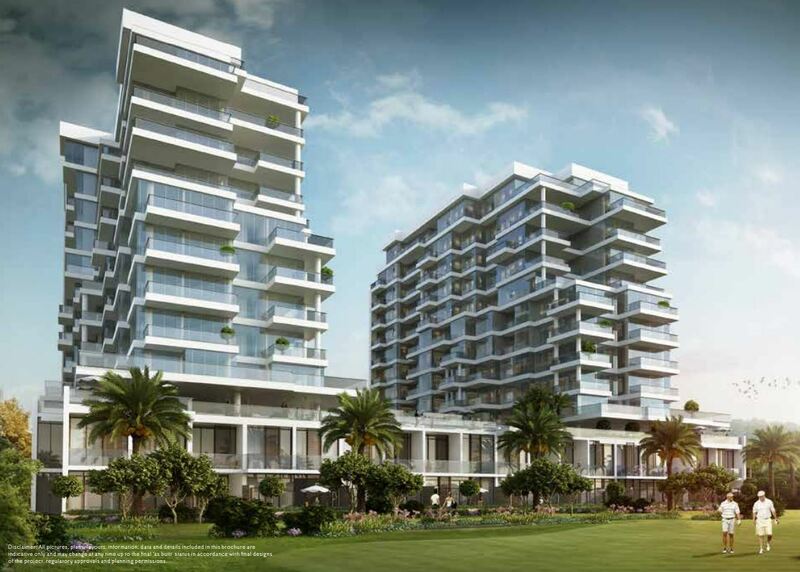 With an enviable location and breathtaking views, our collection of residential apartments offers the best of the golfing lifestyle – sprawling greens unfold on one side while a hive of activity awaits you on the other.